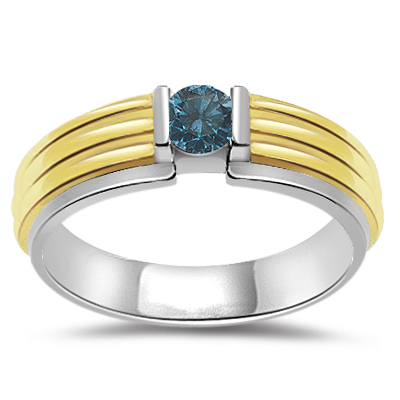 0.26 Cts Blue Diamond Solitaire Men's Ring in 14K Two Tone Gold . This captivating Blue Diamond Solitaire Men's Two Tone Ring displays a color Diamond channel set in 14K White and Yellow Gold. Approximate Color Diamond Weight: 0.26 Carats. A beautiful ring sparkling perfection.